The master bedroom at 1400 Prizer Rd., Chester Springs. Whether your ideal Valentine's Day is a romantic date with someone you love or a king-sized setting for solo bed angels, these master suites are built to satisfy. 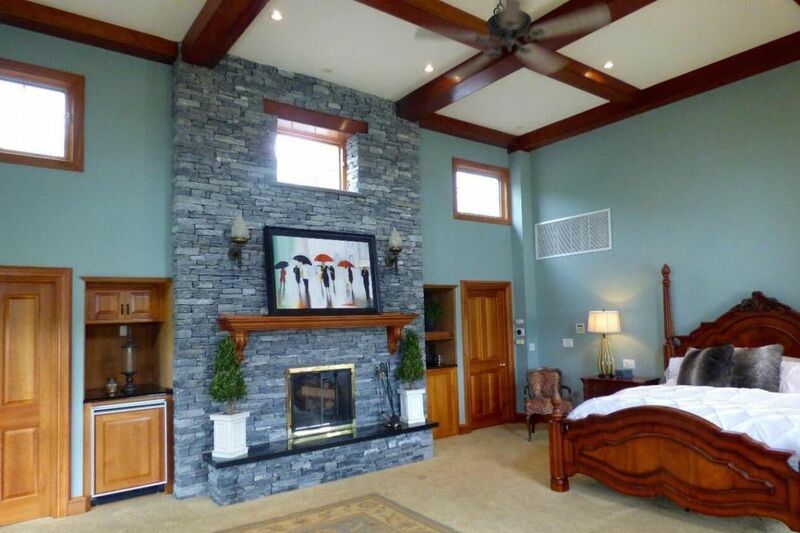 Throw in Jacuzzi tubs, fireplaces and private decks, and a good night is guaranteed. For a price. Tell me all about it: Vintage Thoroughbred Farm features five bedrooms, including a master suite that boasts two en-suite baths (one with an infinity whirlpool tub) as well as a private balcony, and a bedroom with coffered ceilings and fireplace. If you need more romance, the property has its own wine cellar and equestrian center. Fantasize away. Tell me all about it: We're a sucker for a master bedroom with rounded doors. This five-bedroom home boasts a master suite with a set of bathrooms and a set of walk-in closets. We love the soaking tub as much as the in-ground pool and hot tub out back. This property also includes a plant nursery and design center. Tell me all about it: Villa Cascia is the kind of property where the master suite boasts its own luggage closet. It also features dual walk-ins for the rest of your goods, as well as a bathroom with dual water closets, soaking tub and seamless steam shower with multiple jets and shower heads. It's a good place to rinse off after a workout in the attached private gym.